Just as we’re getting used to the idea of fall, those in the fashion realm are already prepping for the following season! 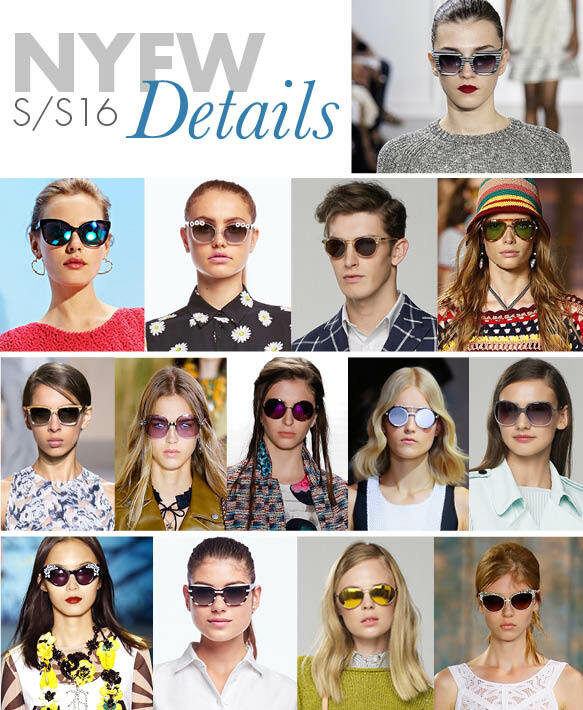 Over the past couple of weeks, the world’s most renowned designers flaunted their up-and-coming spring/summer 2016 collections at New York Fashion Week. 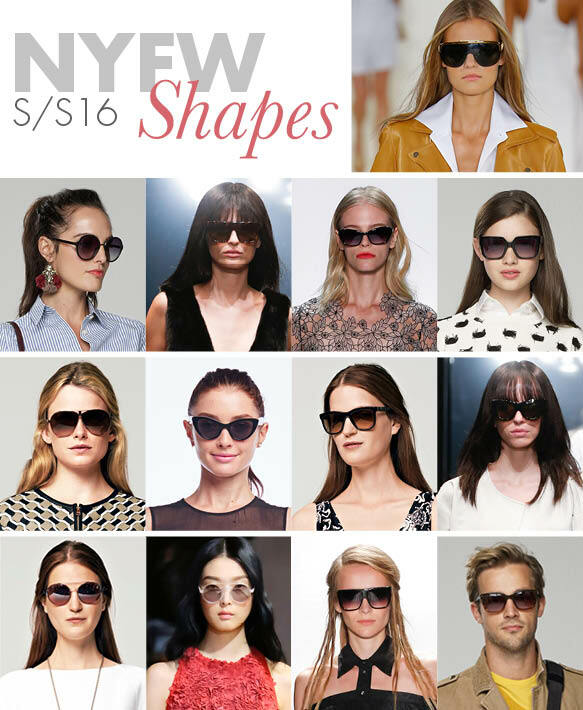 As we scoped out the statement garb that graced the presence of the catwalks, we were beyond thrilled to see stunning sunnies adorning these coveted looks. 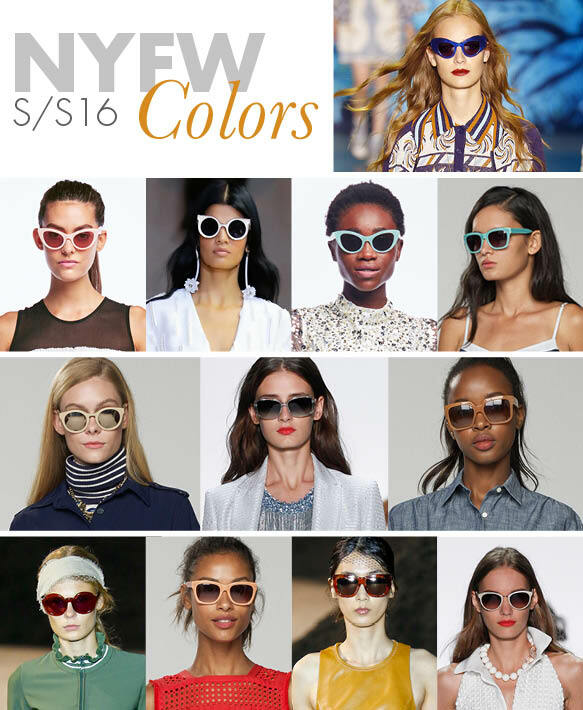 Take a peek at the chic sunwear styles spotted on the runways, and check out what’s trending when it comes to their colors, shapes and details, below.